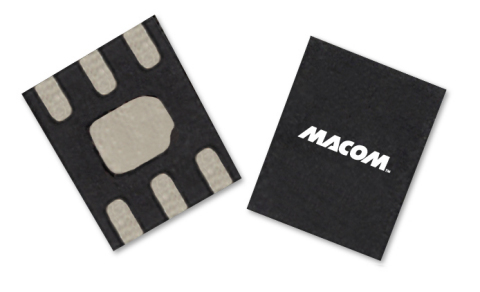 MACOM’s New Power Detector Family Features Integrated Directional Couplers and Built-In Temperature Compensation | MACOM Technology Solutions Holdings, Inc.
LOWELL, Mass.--(BUSINESS WIRE)--Sep. 24, 2018-- MACOM Technology Solutions Inc. (“MACOM”), a leading supplier of semiconductor solutions, today announced its new MACP Series of high-performance power detectors with integrated, low loss directional couplers, optimized for power monitoring and leveling in point-to-point radios, ISM, radar, VSAT, EW and aerospace and defense applications. The integrated solution of the directional coupler and temperature compensated detector circuit enables customers to dramatically simplify their system designs and lower BOM costs while preserving valuable board space. The new MACP Series power detectors operate in frequency ranges from 2 – 6 GHz (MACP-010571), 6 – 18 GHz (MACP-010572) and 10 – 30 GHz (MACP-010573), and provide low insertion loss and high directivity enabling power monitoring along a transmission line. The devices are housed in lead-free, 1.5 x 1.2 mm surface mount plastic packaging compatible with standard pick and place assembly equipment. MACOM’s MACP Series power detectors are available to customers today. For assistance identifying MACOM products optimized to substitute or replace offerings from other vendors, visit MACOM’s Cross Reference tool. MACOM will showcase its industry leading RF technology portfolio at European Microwave Week (EuMW) 2018, Booth #271 in Madrid, Spain, September 25th – 27th. MACOM’s booth will feature new product solutions optimized for 5G, wireless basestations, radar, test and measurement and industrial, scientific and medical (ISM) applications. To make an appointment, contact your local sales representative. For more information about MACOM’s RF technology solutions, please visit: www.macom.com.